With so many TV shows, special events, musicals and attractions, and their unbeatable interactive technology, Lagotronics Projects is celebrating its 40th anniversary this year! Since 1979 the Lagotronics team has been Creating Unforgettable Memories all over the world. The common thread through its 40 years of work has always had to do with fun and entertaining people. 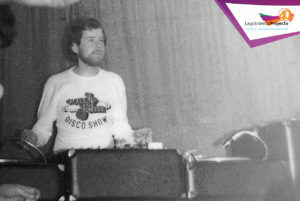 It all started with audio and lighting shows for events (founder Carlo Görtjes started as a DJ! ), soon followed by installations for bars and clubs. Its reputation grew fast and soon the first request came to facilitate a big Dutch TV show. In the TV industry, Lagotronics soon became a worldwide supplier for lighting shows as well as their in-house developed Game Technology. This, later called Interactive Technology, appeared to be a perfect fit for theme parks as well. Lagotronics Projects keeps striving for continuous innovation and delivering high-tech quality products. The company has always continued investing in further development of these products and its interactive technology for theme parks, FEC’s, experience centres, museums, and other leisure businesses. Now a leading company in interactive Dark Rides and Show Experiences, Lagotronics Projects creates the most amazing projects. Its product portfolio of Audio, Video, Lighting, Show Control and one-of-a-kind Interactive Systems, combined with its in-house Game Development, is a unique combination of knowledge. This enables Lagotronics Projects to provide a wide variety of rides and experiences, but mainly interactive attractions, media Dark Rides and its newly developed patented GameChanger. With these products it meets the growing demand for attractions that fit the trend of gamification and storytelling, especially in the theme park business. With its latest development, its very first own IP: Farm Fair, the next step in the business is made, awaiting to become its next hit! Some examples of its appealing projects over the years are big TV shows like Idols, well-known musical productions like The Beauty and the Beast and The Three Musketeers, concerts of Christina Aguilera and Bon Jovi, and huge dance events of DJ Tiësto and Tomorrowland. In the amusement and theme park business, the Farm Fair GameChanger at Bayern-Park, the Ghost Hunt Dark Ride at Lake Compounce and a stunning AV & Lighting show at the TEKZONE in Kuwait are some of the latest achievements.